Gronk's actions in the Bills/Patriots game "were not incidental," the NFL says. By Spencer Buell·	 12/4/2017, 5:04 p.m. It seemed pretty clear this morning that Rob Gronkowski would have to pay for his behavior in Sunday’s Patriots/Bills game, and now we know what that punishment will be. The NFL has just ruled that he will be suspended for one game for unsportsmanlike conduct. Gronk and Buffalo Bills cornerback Tre’Davious White had been bumping into each other on a play, and Gronkowski later expressed frustration that White didn’t also get a penalty for shoving him. But after White pulled off a rare Brady interception, he apparently snapped. In video, Gronk can be seen lashing out, diving arm-first into the White, who lay on the grass, and driving 265 pounds of Gronk into the back of his helmeted skull. White had to leave the game and has entered the concussion protocol. 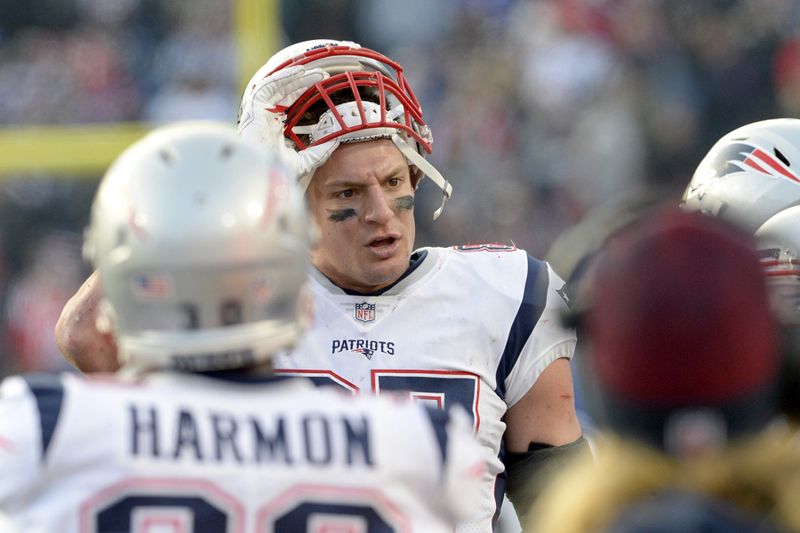 The punishment calls for Gronkowski to have to sit out Monday’s match-up with the Dolphins. He has three days to appeal, and he apparently plans to do just that. After the game, Gronk apologized, and told reporters he had been “frustrated” about what he thought were unfair calls from referees.